Every year Neiman Marcus puts out a Christmas catalogue full of stuff most of us could never afford. Doesn’t stop me from looking, though. There’s usually at least one car in there, or a pair of his and hers automobiles, but this year offers something different, a handcrafted slot car track by Slot Mods USA. Okay, it’ll cost you $300,000 and a six-month wait but check out the video of their version of the Watkins Glen track, at the LeMay Museum in Tacoma, Washington. Actually, the catalogue price starts at a more affordable $75,000 (plus shipping and installation) for a 12 by 20 or 30 foot version of a legendary track, built to 1:32 scale, complete with guardrails, signs, grandstands, and even integrated cameras. 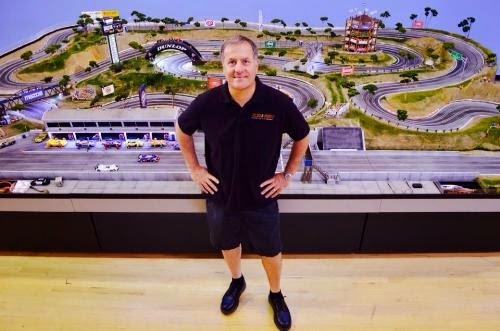 The $300,000 Ultimate Slot Car Raceway not only includes the purchaser’s choice of track, but an inaugural race night party co-hosted by a racing legend. It’s also possible to order a track directly from Slot Mods USA. And, coincidentally enough, there’s one being auctioned off later this week at Auctions America. Hmm. Think I need a bigger basement. Wanna Drive a Stock Car? While most of the vehicles I saw at this year’s Montreal Autorama were very shiny indeed, there were a couple that weren’t. They looked like they’d been well driven, and they probably had, since they were at the booth of Ecole de Stock-Car Cabana. If you’ve ever wanted to drive a stock car, they offer courses at their driving school at the Sanair track just north of Saint-Pie (that’s on the south shore, this side of Granby). 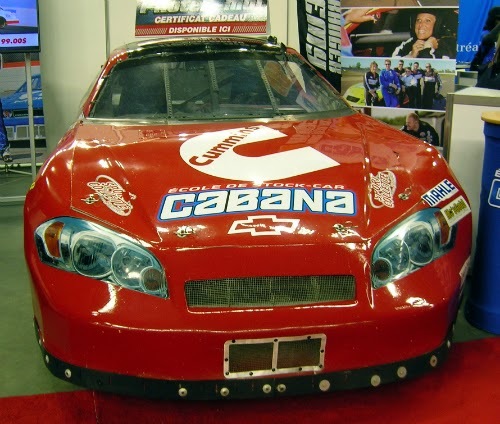 Since the founder of the school, Jean-Paul Cabana, is a two-time Canadian NASCAR champion with over 500 victories to his credit, he should know a thing or two about racing. And the cars the school uses have actually seen competition in NASCAR and CASCAR. There are several options, from one that lets you sit in the passenger seat while a professional driver takes you around the track a few times, all the way to their ultimate course which finishes with 100 laps of the track at speed. They also offer a corporate program—all you have to do is convince your boss it’s a great team-building experience. And there are gift cards and certificates if you’re looking for the perfect gift for your significant other. I haven’t been to check it out in person yet, but it sounds like a lot of fun. Here’s a link to the English version of their website, but there’s more information on prices and courses on the French page. Haven’t seen it around before, but I’ll definitely be keeping my eyes open. 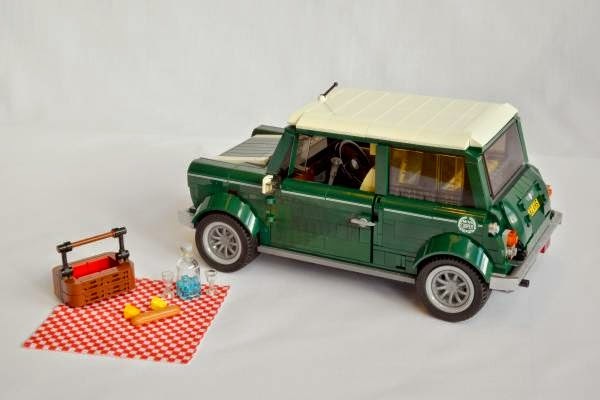 Yep, there’s now a LEGO set that allows you to make a classic Mini Cooper. At $119.99 Canadian, you may not be running out to buy one for your kids this Christmas, however. It’s really more of a collector’s item and it’s only available through the online LEGO store. 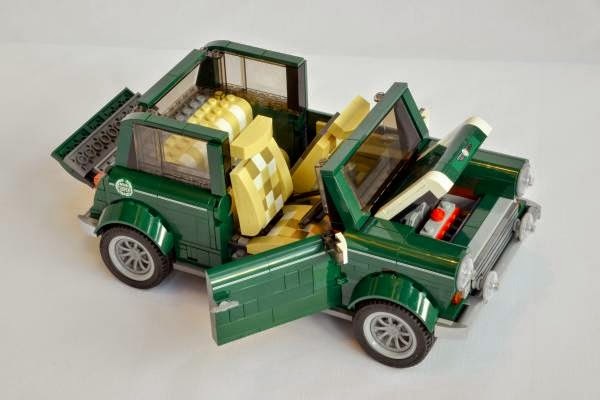 Based on the version of the Mini built between August 1997 to July 1998 (the 40th anniversary Mini), the Creator Expert LEGO set contains 1,077 pieces, which combine to make a car 25 centimetres long, 14 centimetres wide and 11 centimetres high. It comes in British Racing Green (of course), and has the appropriate body striping, checked seats, and even 40th anniversary emblems. 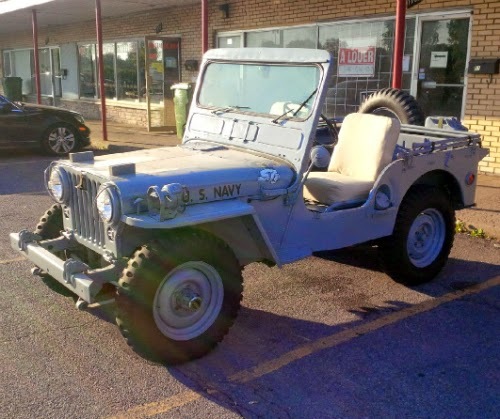 As you can see in the second photo, the doors, hood and tailgate all open and the roof comes off. Under the hood is a detailed, transversely mounted 4-cylinder engine. The steering wheel (on the right hand side as befits a British car) is movable, as are the gear shift, handbrake, backrests and headrests. 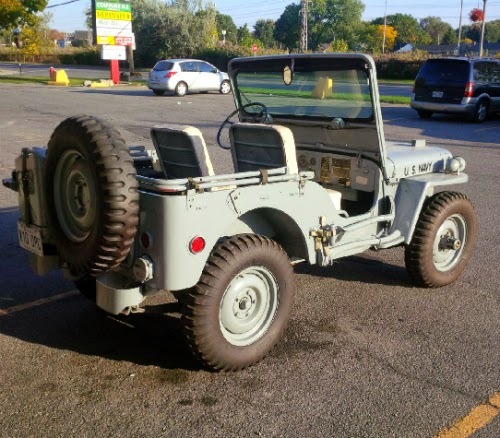 It comes complete with a picnic basket and a spare wheel. Suggested age is 16 and up. Also available is a 1962 Volkswagen Camper Van ($129.99) and a DeLorean time machine (not nearly as detailed) for $44.99.